Private equity investor TorQuest Partners says its Amenity Holdings Inc., will merge with “complementary retail pharmacy platform” Rubicon Pharmacies Canada Inc. The new entity will operate under the Rubicon name, and will own and operate 101 pharmacies across Western Canada. “We are thrilled for the opportunity to bring together two companies with the same mission: A commitment to providing the highest-quality experience for the people we serve with a focus on improving health,” said Michael Wright, CEO of Rubicon, in a release Monday. Wright will lead the combined entity. 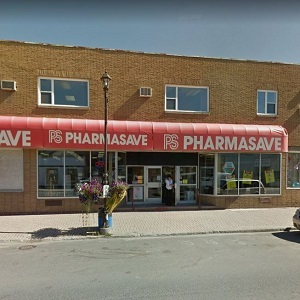 Rubicon Pharmacies has 67 businesses across Alberta, Manitoba and Saskatchewan under a number of retail pharmacy banners. Both companies have a majority of their properties in rural towns or neighbourhood communities of larger urban centres. Amenity has also focused on under-serviced communities. Day-to-day pharmacy operations will not be affected by the integration of the two companies, says the release issued by Rubicon. TorQuest Partners, one of Canada’s leading mid-market private equity firms, is the majority shareholder of Amenity, which owned and operated 34 pharmacies in Alberta, Manitoba, British Columbia and Saskatchewan. TorQuest bought into Amenity in 2017, making this its second major transaction in nine months involving a pharmacy owner/operator. Both transactions have been made on behalf of TorQuest’s Partners Fund IV. “As we began discussing a possible transaction, it became abundantly clear to both Rubicon’s and Amenity leadership that the combination of marrying industry-leading people with patient-centred business practices would create an exciting and powerful platform in our marketplace,” Wright said in the release. Wright’s executive team will draw from veterans of both companies. Dwayne Hoffman will serve as chief development officer, and Robert Gare remains in his role as chief operating officer. Keith McMahon, CFO of Amenity, will assume the CFO role of the combined platform. Founded in 2002, TorQuest Partners is a Canadian-based manager of private equity funds. With more than $2 billion of equity capital under management, TorQuest is currently investing from TorQuest Partners Fund IV, a $925 million fund that closed in June 2016. TorQuest invests in middle market companies, and works in close partnership with management to build value. Established in 2005, Rubicon operates 67 pharmacies across Alberta, Manitoba, and Saskatchewan. Rubicon operates its pharmacies under a number of different independent retail banners. Established in 2013, Amenity Health Care operates 34 pharmacies across Alberta, Manitoba, Saskatchewan, and British Columbia. Amenity also operates its pharmacies under a number of different independent retail banners.